Spend more time planning your vacation than planning your job search? If you don’t have an effective Marketing Plan, you are trusting on luck. “Plan the work and work the plan” … an age-old adage to promote success. 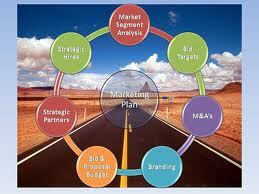 Having a clearly defined game plan for your job campaign is critical for success, as it is for any endeavor. We will develop a plan that includes market segmentation, dynamic methodologies, productivity goals, interview strategies and more. We also create strategies for handling the hard questions about age, industry experience, over qualified/under qualified and so on. We will work with you individually to create a Marketing Action Plan that will help ensure that the foundation for your search is properly set … you will know exactly what to do and how to do it. determination of whether our contact distribution resources would be appropriate for you. creation of output goals based on the amount of time you can devote to the campaign. In these meetings, we make sure the basic foundation for your campaign is properly set; you will have a written plan describing exactly what you are supposed to do and exactly how you are supposed to do it; just follow the MAP to your career destination.